Summer is officially here! Our current obsession with all white outfits leaves room for the perfect pop of color AKA our tassel earrings. I paired our limited edition, 4th of July, Devereaux tassel earrings with my favorite white jeans from J.Crew and a simple tee. This look is so easy and it let's you have fun while picking your accessories! 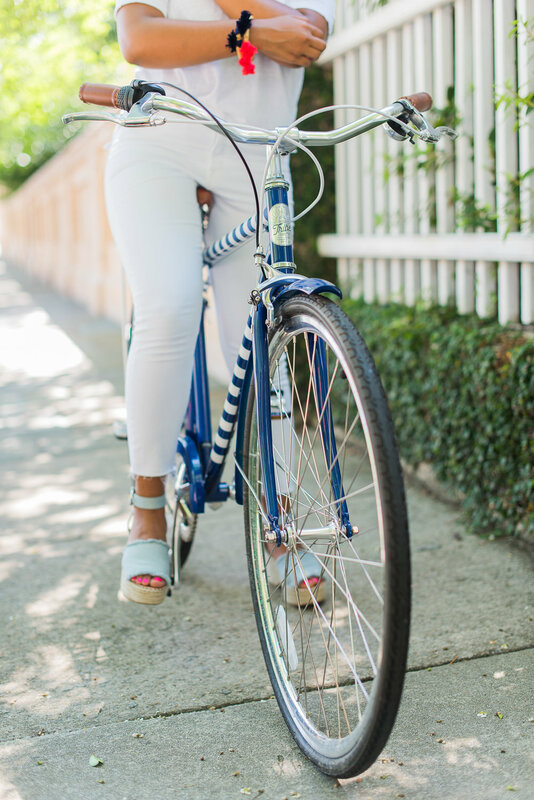 If you're wondering what the deal is with this fun bike...it's an exclusive J.Crew X Tribe bike. I won it (!!!!) for participating in the #nationalstripesday contest on Instagram! Thank you J.Crew!! 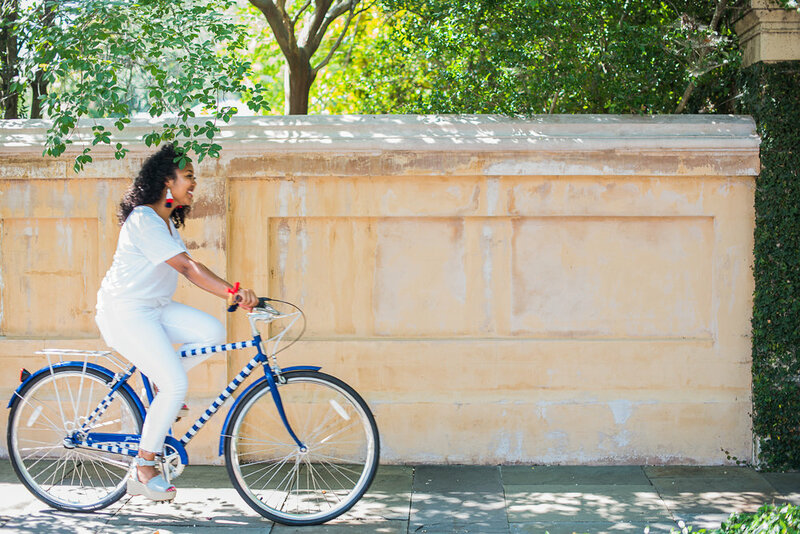 Biking is my favorite way to get around Charleston so it was the perfect surprise. Enjoy these fun photos from Aneris Photography!